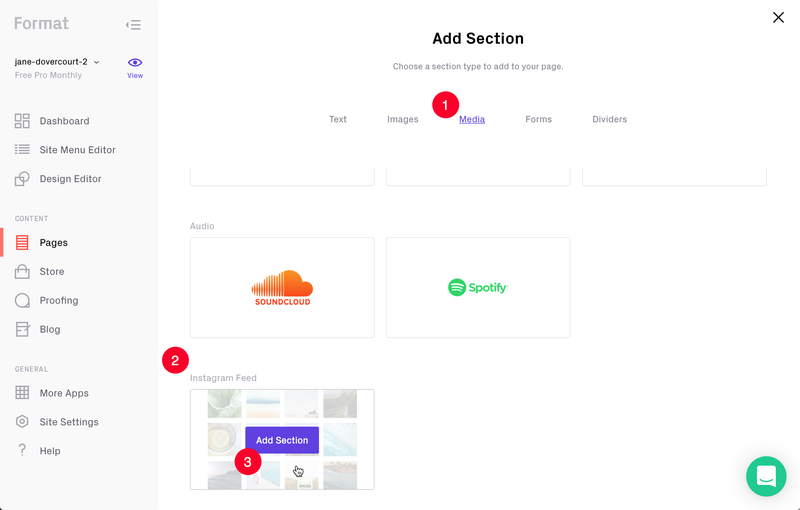 Easily add your Instagram feed and images to a Custom Page. It can also be added to an existing Custom Page (like 'About' or 'Contact'). 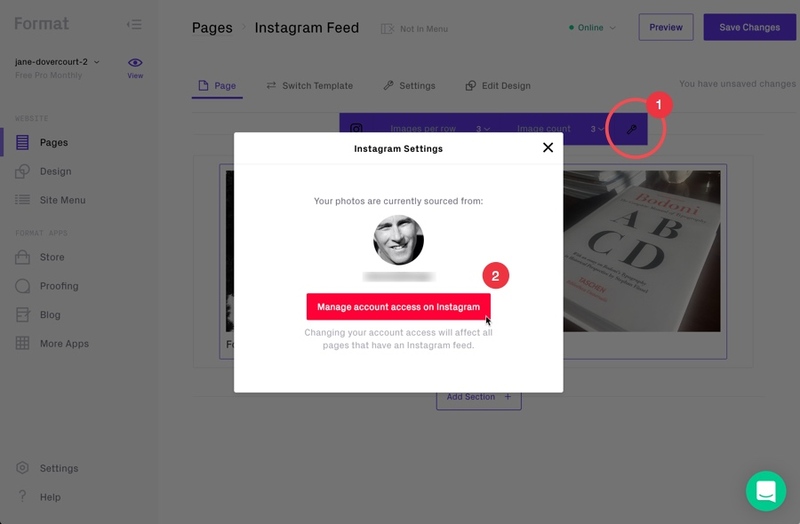 It is only possible to show images from one Instagram account per site. From your Dashboard tap 'Pages'. 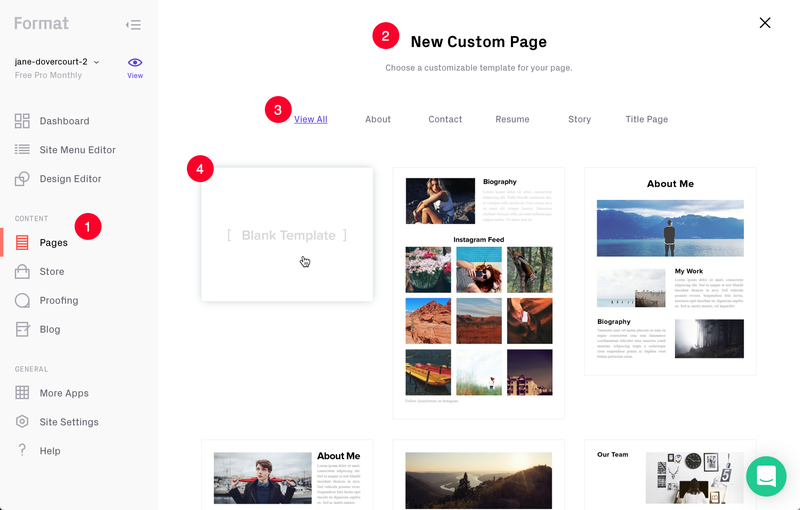 Create a new 'Custom Page' or select an existing one. Tap on the Instagram section and the mini-toolbar will appear above. Set how many 'Images per row' (2–4) and total 'Image count (1–16). 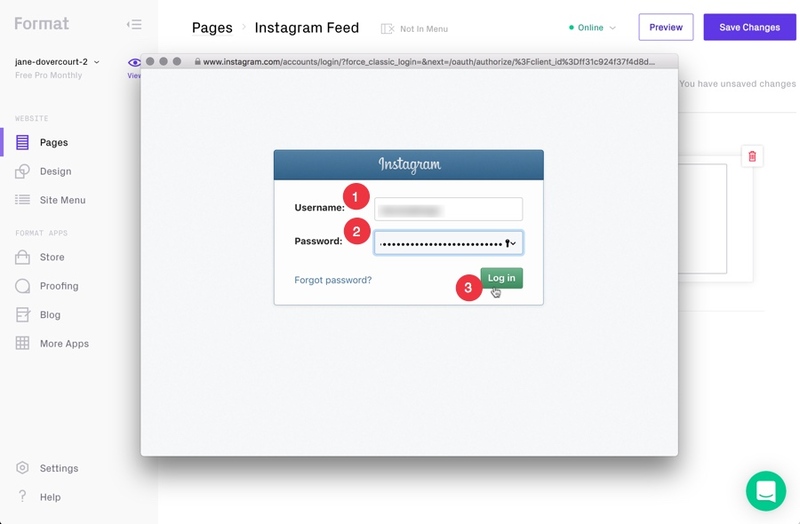 Changing your account access will affect all pages that have an Instagram feed. 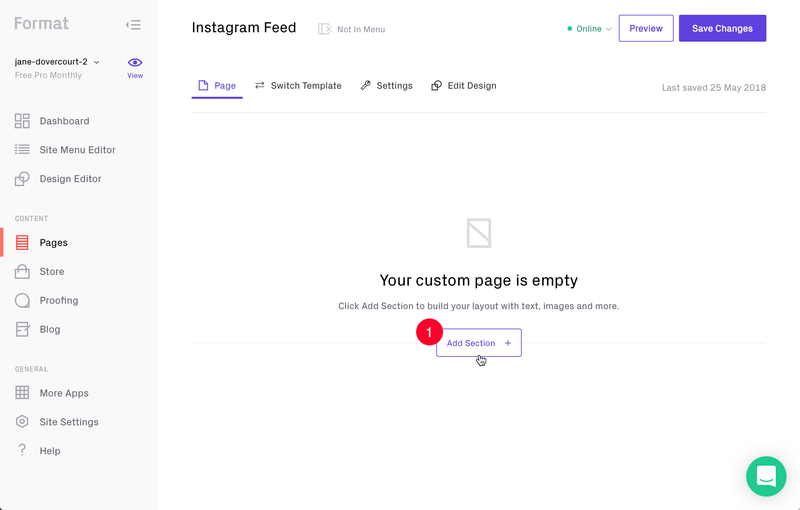 Only one Instagram feed can be displayed per Format portfolio site. 'Revoke Access' to remove connection for this Instagram account. You can now add a different Instagram account.